Sound advice from industry experts can lead to higher rates of physician adoption, fewer errors, and reduced regulatory and financial risks. The reality of the healthcare reimbursement model is that it’s constantly changing, and new models are emerging. As a result, the financial pressures on your organization will continue to increase. Shrinking margins, managed care complexity, changing regulatory requirements, declining inpatient volumes, and increasing guarantor responsibility for healthcare costs are some of the challenges healthcare organizations are facing. It is imperative that your information technology is used as effectively and efficiently as possible for your organization to meet your financial and strategic goals. We provide expert advice to our clients on designing strategic, financial, operational, and technological services to meet their desired goals, as well as managing regulatory risks to enhance their operations and the bottom line. 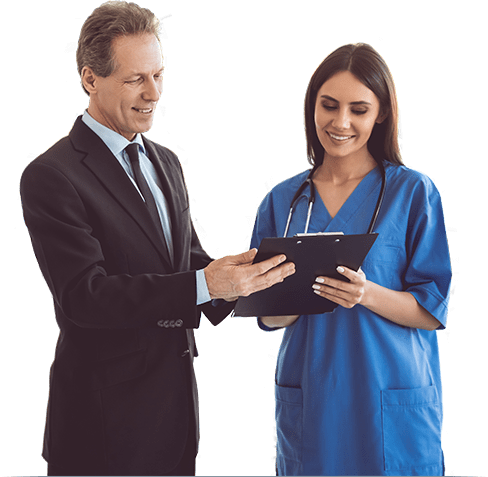 Our team brings years of healthcare clinical, operational, and IT knowledge. We take the time to understand your organization, working collaboratively with your staff to customize services that are specific and targeted to your needs. For the 2nd consecutive year, Optimum Healthcare IT has been recognized as Best in KLAS for HIT Advisory Services by healthcare providers across the United States. A rapid IT Effectiveness Assessment is one of the many services in our Advisory practice. This assessment leverages our deep healthcare experience working in and with organizations to help them become more efficient and effective. Quite simply, our goal is to enable your users to use technology to work smarter and not harder. The IT Effectiveness Assessment is a four-week engagement that will identify the areas of opportunity to improve outcomes. By assessing where misalignment occurs between technology and process, our experts will provide actionable recommendations to get back on track. This flexible assessment can scale up or down to address parallel workstreams as needed to meet the four-week schedule. Utilize Our Healthcare Clinical, Operational, and IT Knowledge Today!